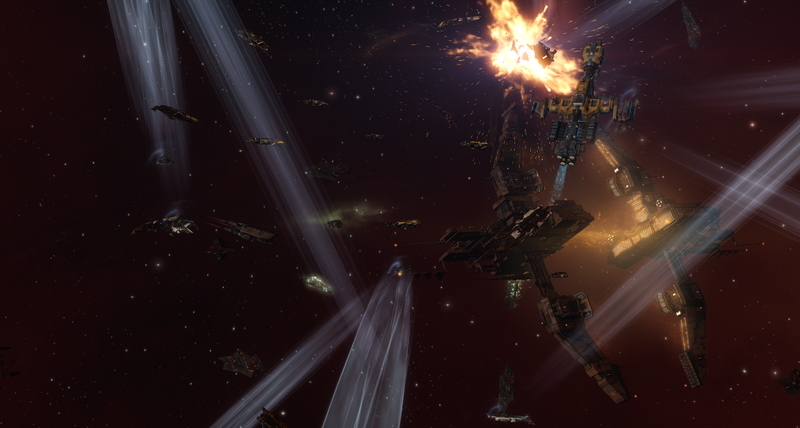 5 years ago, the Battle for Caldari Prime occured and in a way, both sides managed to achieve their objective. 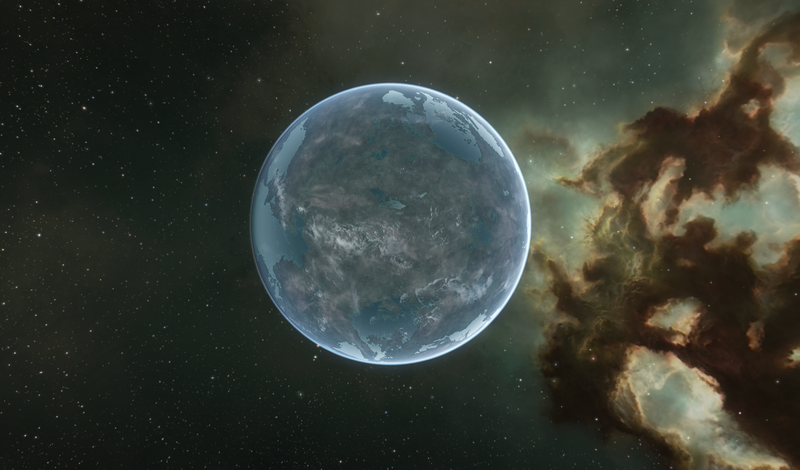 The Gallente managed to remove the Caldari Titan in orbit of Caldari Prime, whom they saw as a threat due to it's destructive doomsday weapon. 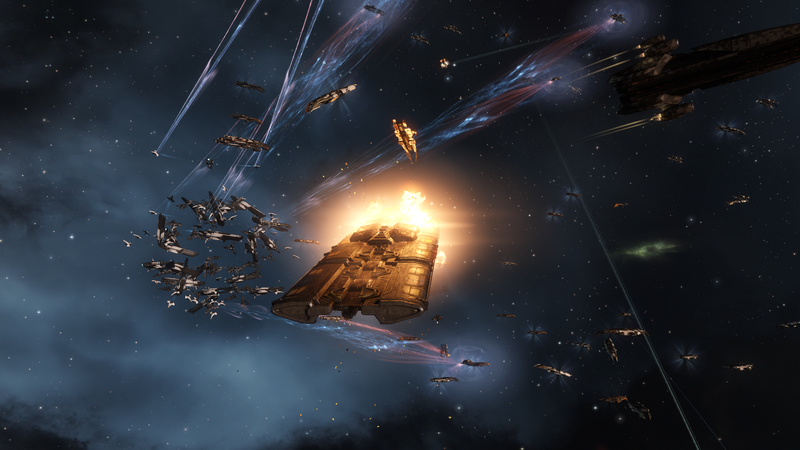 The Caldari managed to hold Caldari Prime against all odds, thanks to the relentless efforts of their loyal Dust mercenaries who fought for weeks against the Gallente war machine, cut off from Caldari support due to the planetary blockade. 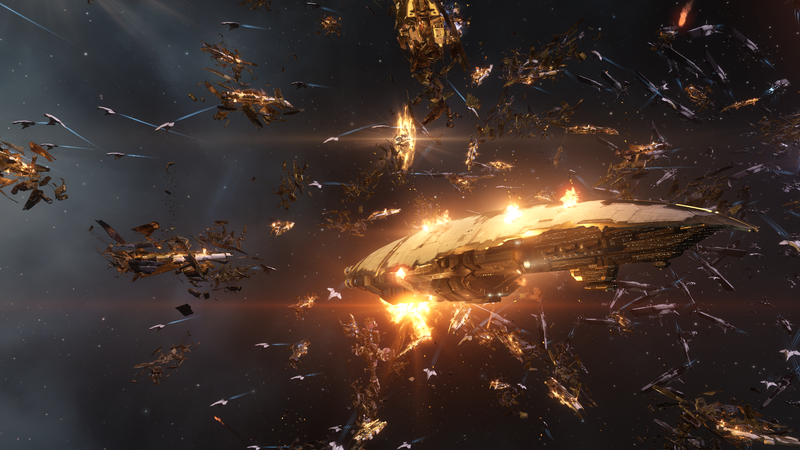 Admiral Visera Yanala's sacrifice, ramming the Titan into Caldari Prime did help the defenders as it threw the Gallente ground forces into chaos. The outcome was a truce, a treaty of peace between the State and the Federation. No ships of either nation would be permitted to patrol the planet's orbits, enforced by Mordu's Legion. Both sides would let their corporations manage their parts of the planet, a move that resulted in all the cities returned under Caldari control, while the Gallente governed the largest parts of the planet. 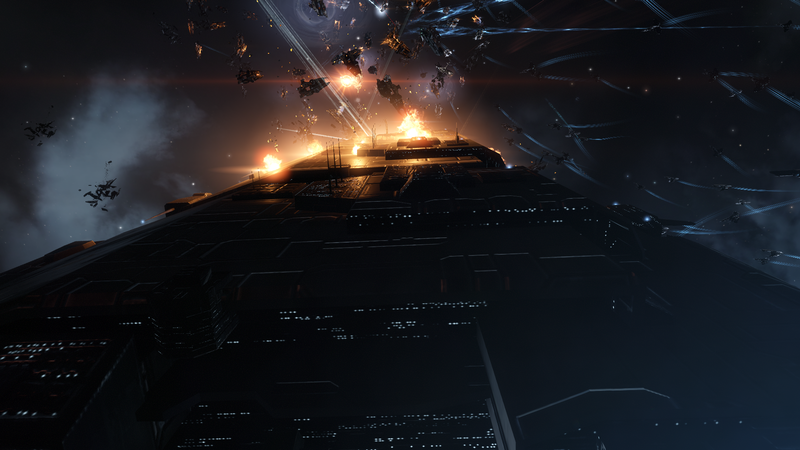 And because of this, every year, the people who fought & died at Caldari Prime are remembered, no matter which side they fought on, as both gave their best and won. 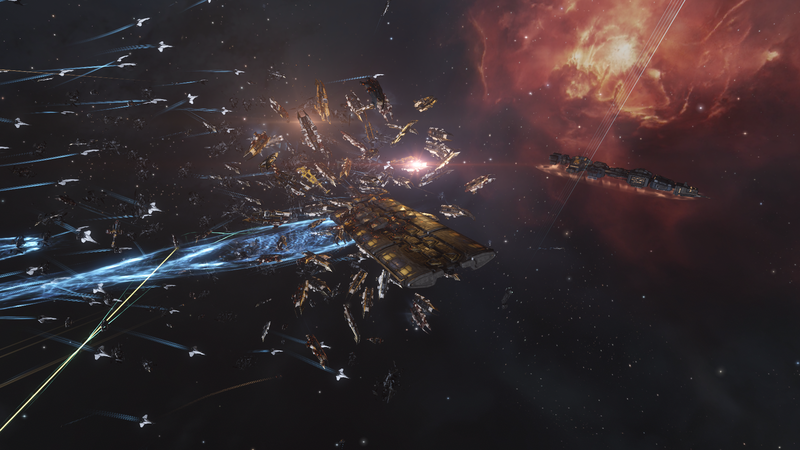 The Gallente got a secured home system with the removal of the Caldari Titan. 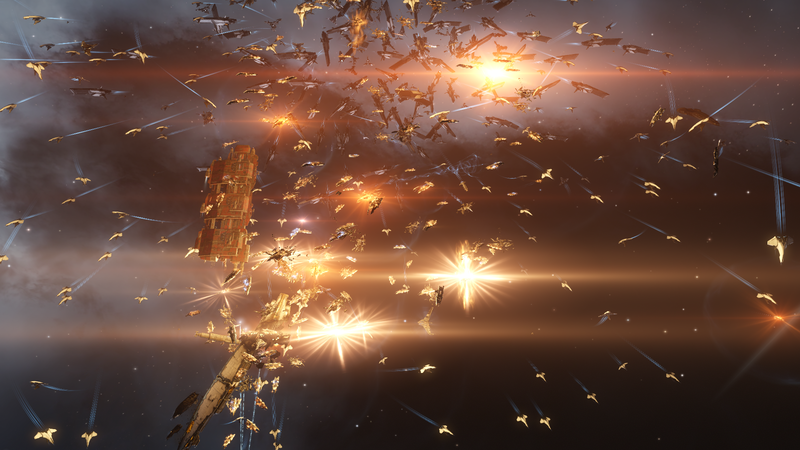 The Caldari kept their homeworld. Several people gathered for this celebration, organized by Commander A9. They brought out their party ships, fitted with lasers & fireworks for impressive displays. 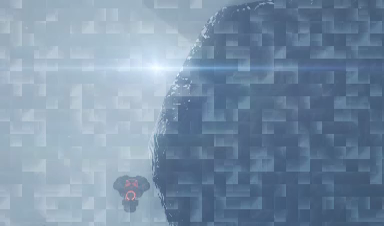 The event kicked of with talks about the battle itself, from capsuleers who were there to witness it to the aftermath that saw many events unfold, from Morwen Lagann's Heart & Home relief effort to the diplomatic efforts made by both the State & Federation to a lasting peace for Caldari Prime. 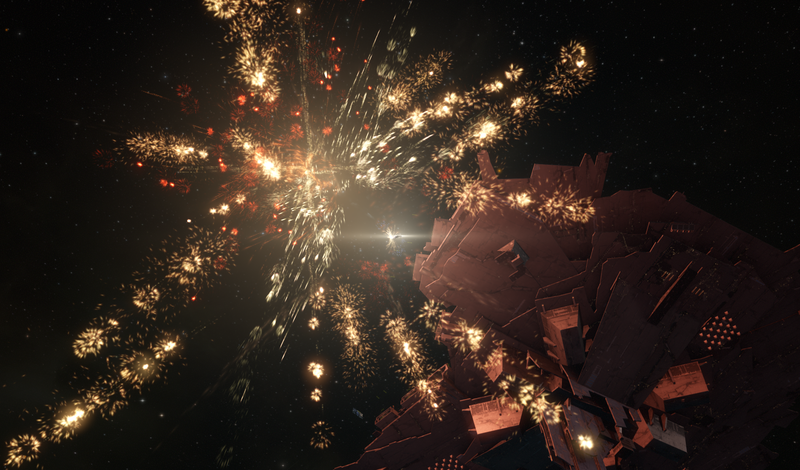 Not to mention the hugely successful first anniversary of the Caldari Prime battle! But we also talked about the many lives that were touched in direct & indirect ways. After all the Aurora Arcology foundation was a direct result of this battle. But it also saw a change of heart in many Dust Mercenaries, giving them a cause to believe in. Links to many of the discussed events & occurrences can be found at the end of this article, to keep it all easily organized! After this, people undocked and prepared for a visit to the old battleground. Today it is nothing more but space as the last of the wreckage has been salvaged or burned up in the atmosphere of the planet years ago. Then people prepared themselves for a flyby under guidance of Commander A9, to honour the fallen of this battle. After the flyby, folks returned to the Memorial Citadel and all attendees received a festival launcher & 1000 charges of fireworks! Now the party could kick of for real, with magnificent fireworks blasting in every directiong, showing people with colourful displays. Painting the Memorial Citadel red with the glow of fireworks. One hell of a show! During this, more capsuleers showed up, joining in the colourful & flashy celebrations. Not even death could stop one capsuleer from attending! Despite being podded enroute to the event, Francophobia just boarded a new ship with his fresh body & kept going. Despite the delay, he was very welcome, managing to catch the end of the festivities despite the major delay that death incurred on him! And so the event closed, with the arrival of a death-defying capsuleer. people had a good time. The stories exchanged were great, allowing veterans to share their knowledge & tales with younger capsuleers who only read about these events. And the fireworks displays were very impressive, showcasing how much it has evolved from the days of simple fireworks to the magnificent displays of today! One last time, giving it all we got with our fireworks! Shades mandatory! The event was small but enjoyable. those who didn't attend missed out really. Below is a list of the stories & footage exchanged about the Caldari Prime battle, the events that followed & how it affected people. 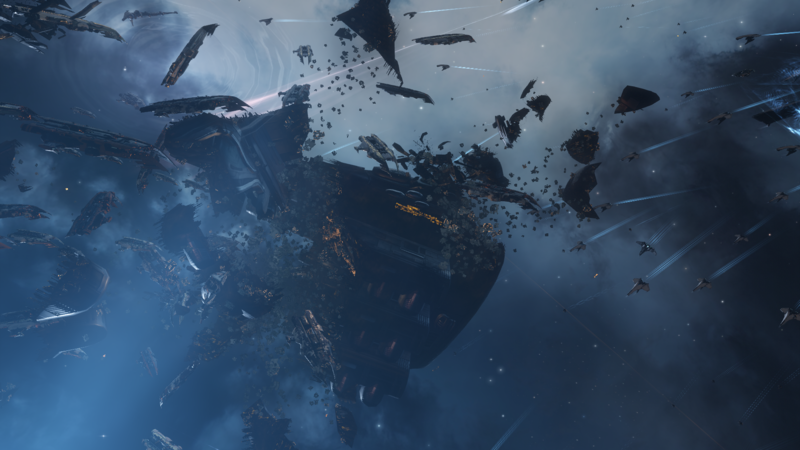 - The Provist Manhunt Summary - Aurora News article on the event that restored the Caldari Navy honour after they were infiltrated by Dragonaur loyalists. Two years ago, a similar hunt event occurred. Capsuleers were tasked with rescuing kidnapped capsuleers from the Guristas before they could been used in experiments to unlock capsuleer & cloning tech by the 'Schism' faction. The Schism is a splinter faction of the Guristas, involved in illegal high-tech research and is lead by one of their leaders, Fatal. It was thought that after this, their plans to replicate capsule tech of their own was thwarted. But they just started anew! But this time they're stealing empty capsules in order to unlock these technologies for themselves. So once again, capsuleers are called upon to stop the dastardly Guristas! Most common place to find them are the detention sites. They're spread across the Eden cluster, housing a few wings of Guristas to protect their stolen capsules. Once such a site is engaged, Guristas will continue calling reinforcements in an attempt to overwhelm you with numbers. 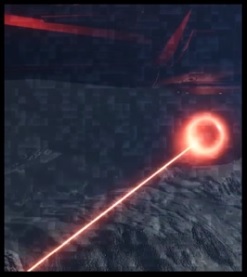 Make sure you fly a well tanked ship, able to resist their main weapon damage which is kinetic/thermal focused. The best counter is to use kinetic-focused weaponry yourselves to take down as many ships as you can to keep their ship numbers to a manageable level. When you wreck havoc like this, their overseer will make an appearance. As he is a capsuleer, his ship is a much tougher nut to crack, so beware. Maintain your kinetic focused offense & he should go down eventually as long as you can maintain your defense as well. Don't forget to recover the stolen capsules while you're at it. They should be anchored somewhere around the detention center. Retrieve them to prevent them from falling into Gurista hands. Do note that these capsules are not always present at the detention sites, leaving you to just fight the Guristas to prevent them from stealing capsules in future raids. If you want to do more, the Guristas transport the stolen capsules from the detention center to their transportation hub in lowsec space. While more stolen capsules can be retrieved here, giving a larger blow to the 'Schims' faction research, these are much more heavily guarded with their Caiman capital ship to lead the defense of the site. 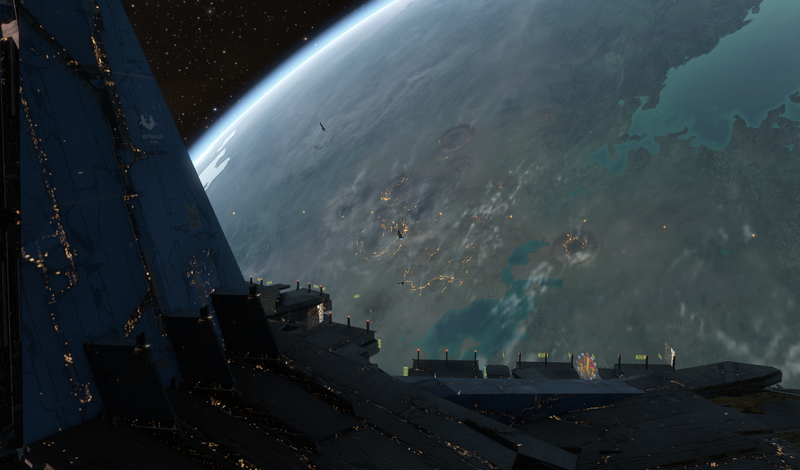 With the presence of such a formidable ship, along with the Gurista Transportation site being located in lowsec, only the bravest and most equipped capsuleers can take on these sites, preferably with companions to lesser the risk of additional hostile interventions. These Guristas follow an enhanced version of the Detention defense tactic; overwhelming you with numbers, just with more powerful ships. So pack kinetic weaponry & field kinetic/thermal defenses to take them down fast with minimal damage. The less time spent here, the better. Keep in mind that their Dreadnought is piloted by a Gurista capsuleer & can be very hard to take down due to this, possessing formidable damage resistances. So what's in it for those who thwart the Gurista plans? Because it is all too known that capsuleers rarely do things from the good of their hearts, so there has to be rewards. Most rewards come in the form of looting the wreckage of the unfortunate Gurista defenders as it is hard to come by their items & tech in a legal way, hence it is highly sought after. The most common find will be the Gurista fireworks nicknamed 'Naughty people Firework', for your celebration needs. Guess the Guristas like to part as well! Next best thing to find are the various Agency boosters variants you can retrieve from the wreckage. You can also find various Gurista outfits if that's your thing, along with ship appearance modifiers (Skins). The more sought after items are of course the Gurista exclusive Cerebral accelerators that boosts the capsuleer ability to learn greatly. If you are lucky, you can even retrieve a Gurista exclusive ballistic control module that boosts both your missiles and drones efficiency at the same time! 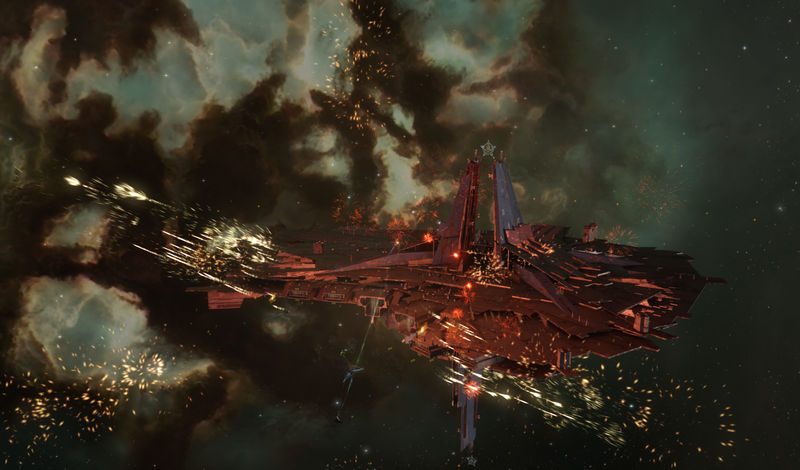 - Bounties on the Gurista capsuleers; 350.000 for the battleship and 2.5 million for the Dreadnought. - The Gurista Ballistic Control system, coming in two variants, both boosting Drones & missile weapon systems. The last two rewards can only be recovered from the boss wreckage. All the rest can also be retrieved from the various Gurista wreckage you leave behind on the sites. 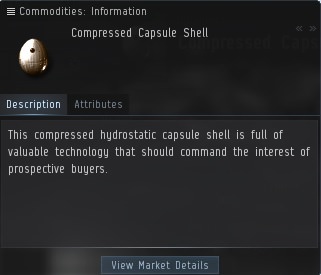 The capsule shells you retrieved are best turned in at your local authorities. If you are less concerned, the various corporations are willing to buy them off you for a small price. During a patrol on a Jove Observatory, pilot Aradina Varren noticed an unusual capsuleer ship wreck in Eystur. Concord had identified it as a Drifter ship kill, but it didn't match any known Drifter ship signatures. This prompted Varren for a call out in the ARC comm channel to investigate the matter. After observations, it was determined these were a new class of Drifters, smaller then their Battleships & fitted within the cruiser category. The Drifter flying it has been tagged 'Cassandra Tyrannos' a previously unseen Drifter pilot category. Inspecting the ship at close range showed its heavy armament, this is one ship you don't want to provoke without caution! Do note that this ship carries the Lux Xiphos gun, a lighter version of the battleship-grade Lux Kontos turret. Each light is a Lux Xiphos turret, quite the powerful array of weapons for a cruiser-class ship! Once all observation were done, without provoking them, we took it a step further & scanned their ships with various modules. The cargo was a classic for Drifters around the Jove Observatory systems, carrying the Antikhytera element, Sleeper data libraries & Ancient Coordinate databases. The ship module scanner was unable to penetrate their shielding. When they warped to the Hadaugago gate, these Drifters turned aggressive & shot two ships without provocation, the Breacher piloted by Jandice Ymladris, equipped with scanning modules & a Burst frigate, piloted by a new capsuleer. The worrying part is that this attack happened very randomly, shooting random targets as well, leaving the other members of our investigation team alone. No cargo was present, save some rocket ammo on the Breacher. So for future investigators: beware! As closing words, this is the first time since long that a new Drifter ship has been sighted, along with a new Drifter entity to accompany it. The Drifter cruiser & it's pilot, Cassandra Tyrannos haven't been seen before today! So far, they've only been spotted as reinforcements after Autothysian Lancer drones have been attacked. 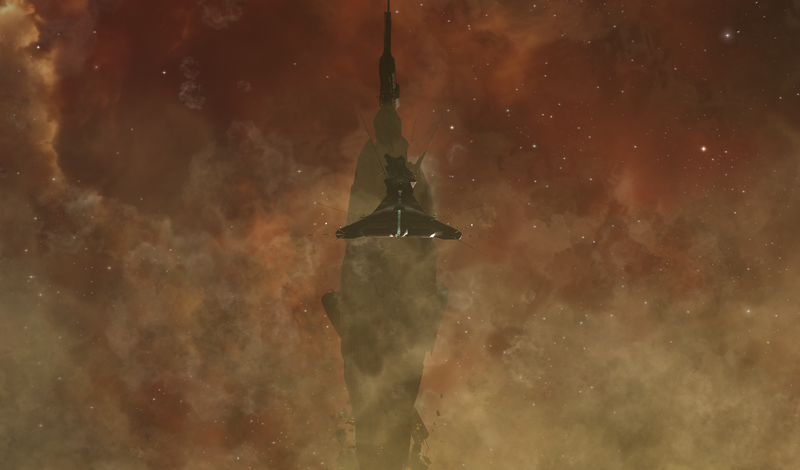 A follow up investigation in Kaunokka by Oliver Aurelius & Drake Wellington confirmed this to be the case, locating several Cassandra Tyrannos piloting Drifter cruisers at a Jove Observatory, following a lone Autothysian Lancer drone. Since this publication, another Drifter entity has appeared that is very similar: Orion Tyrannos, the male variant of Cassandra Tyrannos. They seem to be similar in every way but their gender. Thanks to combat testings of various pilots, more is known about their damage dealing capacities as well. Just like the Drifter battleships, these cruisers field a Doomsday as well that fires when their blue overshield is penetrated. But the similarity ends there, as the damage is much lower & not equal; the weapon deals roughly 42.000 damage, mainly in the EM/Kinetic spectrum, so shielding yourself against these damage types allows you to absorb most damage. The Lux Xiphos guns deal roughly 700 damage per second combined. So far initial investigations seem to indicate this is still omni damage, but further investigations are ongoing to confirm this. What we do know is that their cruiser gun tracking is excellent, far above that of their battleships. 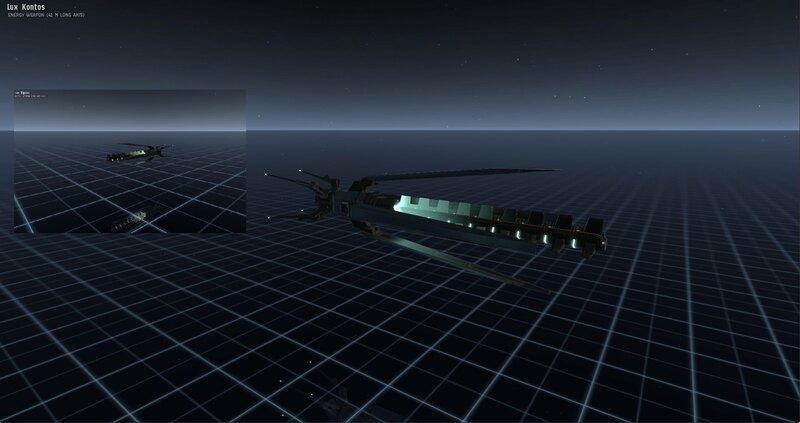 Both types of Drifter cruisers are now observed patrolling alongside Autothysian Lancer drones, protecting them. They are also the go-to ships that reinforce the Lancer drone patrols call for help when under attack. This behaviour to defend the Lancers can explain why these Drifters are more prone to fire at capsuleer ships that haven't shot them. This is still a rare occurrence, but it is advised not to linger when Drifter cruisers are abound to avoid an unwelcome shooting party. 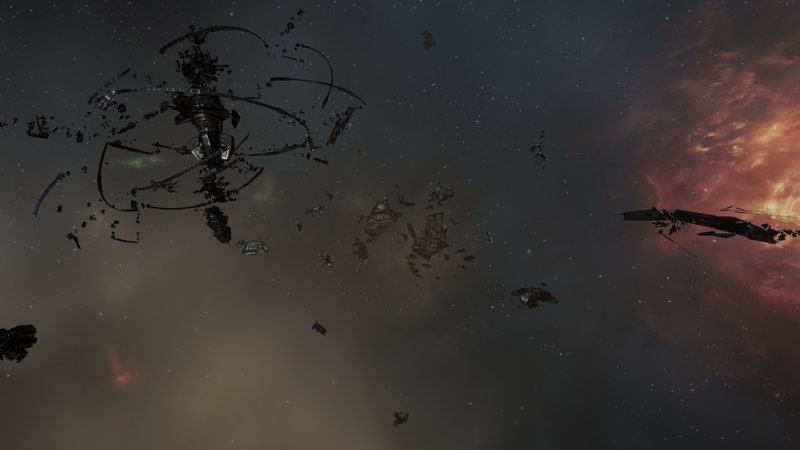 After a silence of 3 weeks, the damaged Drifter fleets have returned. But this time, several capsuleers were ready to attempt opening communications one way or another with these damaged Drifters. It was paramount that more information was needed to determine why the Drifters visit our space with damaged fleets and if they are a direct threat. Alas, the first sighted encounter showed competition had arrived and they would wreck Drifters for the sheer fun of it. 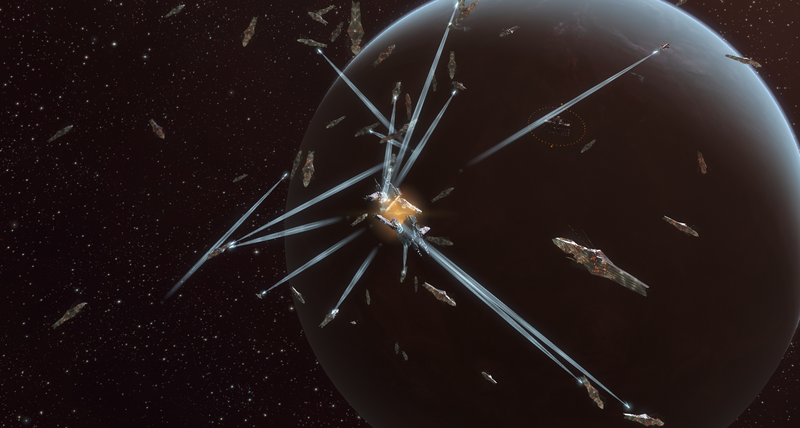 The first Drifter fleet sighting happened in Caldari space, the Nourvukaiken system, composed of roughly 30 Drifter battleships. But before ARC could pick upon this sighting, a fleet under command of capsuleer Bjornson Thellere attacked the Drifters with a fleet of 50-60 capsuleers & destroyed them. After the fight, ARC managed to gleam some information from the capsuleers, revealing that the shield systems of these Drifters was not working! However, there wasn't much time to ponder over this sighting, as another Drifter fleet was spotted! 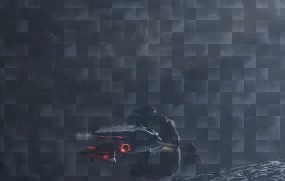 This second sighting was once again in Caldari space. The Drifters were gathered at the Sobaseki gate in the Isanamo system. While ARC prepared against them, science would be done this time, in an attempt to avoid combat. Two capsuleers, Jandice Ymladris & Stig Elendil, attempted to get response from the Drifters by carrying a wide variety of goods related to the Drifters one way or another in an attempt to get a response, good or bad. Relics, artefacts & curious goods were jettisoned in an attempt to offer it to the Drifters & scientists observed the whole ordeal. A full list of the items used can be found here: Overview of the Drifter communication attempts. But regrettably, no response came forth, outside their standard scan. It was observed that just like the previous sighting in Nourvukaiken, these Drifters had no shields & were damaged into structure by an unknown attacker. Realizing their fleet had grown to 50 battleships, action had to be taken against the Drifters. The locals were getting concerned about this built up as well, requiring ARC personnel to calm them down, assuring these Drifters were no direct threat and that ARC would dispose of them soon. Once ARC had gathered enough people and shipped them in their Coercer doctrine; the attack could begin. Wave after wave of destroyers crashed against the Drifters, until they seem to give up at the 3rd attack wave, making it easy to dispose of the stragglers. The lack of shielding helped greatly in keeping casualties down to a minimum. But as the Drifter wrecks were salvaged, a strange item was uncovered, a Corrupted Trinary Vault! This was the first recorded retrieval of this strange artefact. Yet once again, no time was left to mull on this discovery, as a new Drifter fleet was sighted during the Isanamo battle. 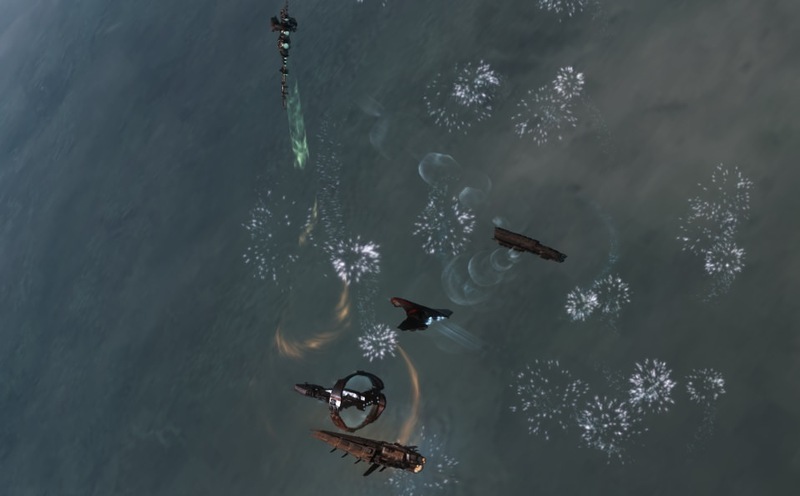 This Drifter fleet was sighted by capsuleer Uhnboy Ghost of the Spectre community. The ARC fleet regrouped & set course for the Evuldgenzo system. Meanwhile, Uhnboy Ghost & Stig Elendil attempted to communicate with them through various means, from projecting light beams to skimming real close to the damaged Drifter battleships. Alas, the result was the same as the Isanamo communication attempt: nothing, save their ever vigilant scanning. 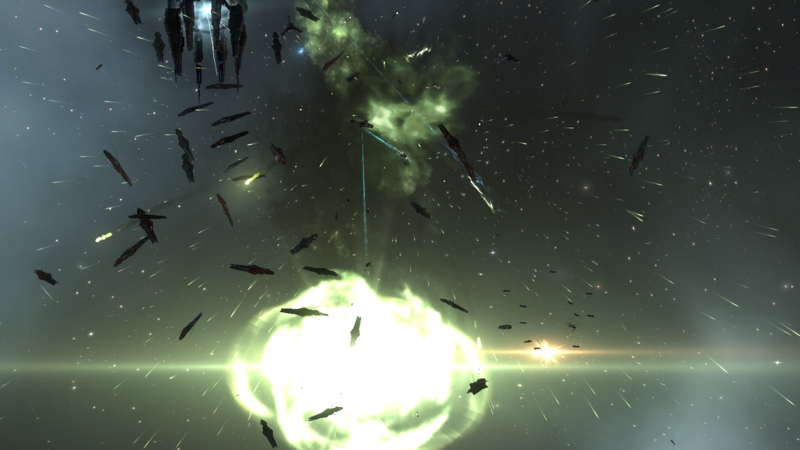 Once the ARC fleet arrived, capsuleers readied themselves quickly to battle the Drifters once more. A quick count indicated roughly 40 battleships gathered around the Asgeir gate. Under the experienced command of officer Makoto Priano, the fleet commenced their attack. this time, the Drifters gave up rather fast. In the second wave, they already gave up, resorting to minimal resistance as their fleet was cleared off the field. ARC engaging the Drifter fleet, with the Noctis to retrieve valuable salvage for further research. With that awful task done, the Drifter & ARC wrecks were being salvaged for research & to recoup losses. Once again, a Corrupted Trinary vault was found among the Drifter wreckage. With no further sightings; analysis of this strange artefact could begin. 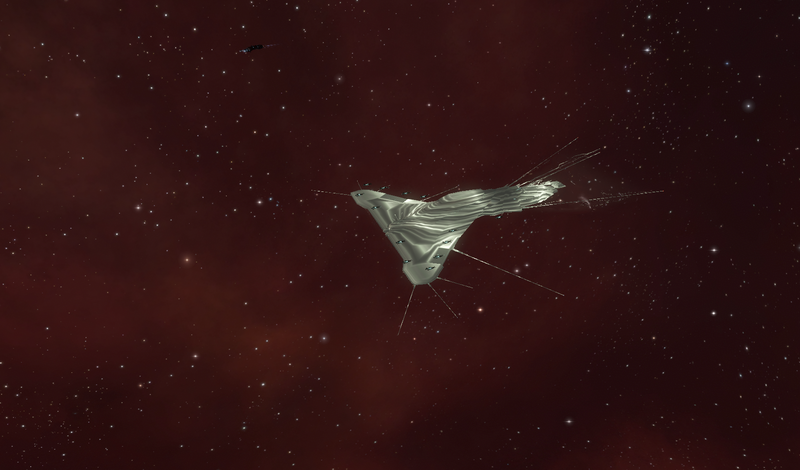 So far, there have been 6 damaged Drifter fleet sightings outside Anoikis. 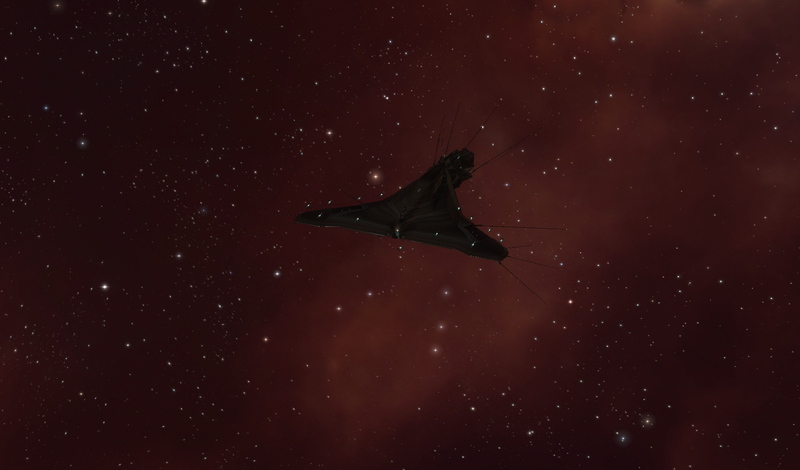 3 of these were in Caldari systems, all within 3 jumps from Jita: Sirppala, Nourvukaiken and Isanamo. 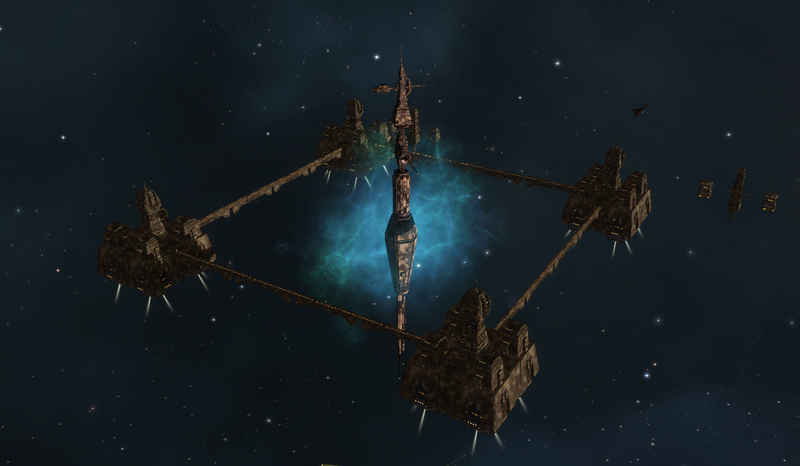 Two fleets were sighted in Minmatar space; Rens and Evuldgenzo. 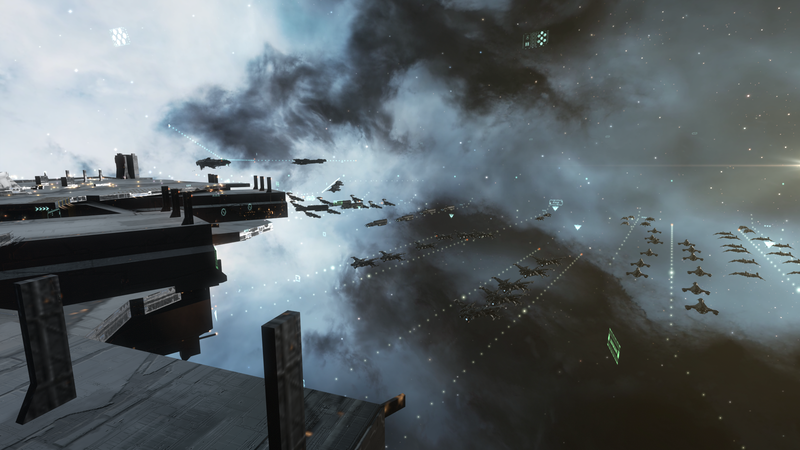 The last fleet was sighted in H-ADOC, home of the Angel Cartel. The main difference between the old fleet sightings and those of today was their damaged state. The first fleets sighted were damaged heavily into structure but still had operational shields & Doomsday guns, while the Drifter fleets in today's encounter suffered less severe structural damage, but their shield systems & doomsday devices were offline, making it easier to destroy them with lower casualties. What the strange triangular symbols mean is unclear at this time. More data is required before we can crack their code. Likely this is linked to the leaked Concord file from a few weeks before. Do note that current consensus is that the strange phenomenon in the leaked Concord file is not a star, but something else, as the scale doesn't fit. What it is is still a mystery. At this time not much more has been uncovered, but ARC officials & affiliated but they are hard at work trying to connect the data & finding out what is going on with these damaged Drifter fleets entering our space. Aurora News will keep close track of this mysterious renewed Drifter activity. It all began when capsuleer Yun-Hee 'Tight-Lips' Yubari informed the C3SRC (Coordination Channel for Consolidated Space Rescue Cooperation) that she had rescued some survivors. These rescuees came from wrecks near the State War Academy in Kisogo. They were revealed to be scientists & personnel that were of extreme importance to the Sisters of Eve. The capsuleer also thought this was not a one-time occurance. As part of C3SRC, Che Biko decided to investigate and his initial research supported Yubari's findings. But during his investigation, Che Biko stumbled on some SoE survivors himself, allowing him to gain some first hand information from them. Albeit the rescuees were in great distress, they did told him they were survivors of a Drifter attack, rescued by a capsuleer ship, who then got attacked by others, leaving them stranded again till Che Biko managed to rescued them. With such turn of events it should come at no surprise that these people are very shaken up & were in no state to pressure for more information,save that they indeed worked for the Sisters of Eve. Concerned about the wide spread of these attacks, Che Biko started to look into establishing a method on rescuing more survivors. The involvement of the Drifters also caused him to reach out to others to investigate the matter more deeply to find out what is happening here. Aurora News took up his request & delved deeper into it. One thing that immediately popped up was that the Aurora Arcology has received similar SoE survivors the past months, helping the investigation greatly. These SoE survivors all came from capsuleer graduation systems, like Ryddinjorn, Couster, Akiainavas, Pasha and many more. Whatever is happening, it seems to occur at all capsuleer graduation systems. The survivor stories all align pretty well too, they got rescued by a capsuleer after their ship or installation was attacked by Drifters, sometimes getting a double rescue as their original rescuer lost his ship before he got to safety. What was less clear was the whole Drifter/SoE angle in all of this. But whatever was going on, it seemed not to involve the empires directly. Originally our investigations couldn't reveal more then this, until the first damaged Drifter fleets were sighted. This caused all manner of discussions on the Intergalactic Summit and uncovered the background of these continuous Drifter aggression against SoE ships & installations in the Capsuleer Graduation systems. Below you'll find the outcome of our investigation. It all began when the Sisters of Eve shared their Alpha clone technology with the empires, unlocking capsuleer technology for the masses. However, a splinter group within the Sisters of Eve warned against using it, as it was a result of research on Drifter clones & technology. And the Drifter response was indeed brutal and far-reaching. They commenced a large-scale attack against research facilities in the 4 empires. This Drifter assault was not limited to the capsuleer graduation systems, but involved many other high security systems across New Eden. The scale of the attack was unprecedented, leading to the destruction of many Navy capitals across the Big Four, showing they were unable to withstand the Drifter advanced technologies. To make matters worse, Drifters were establishing Hives close to the new Alpha Clone stations in the capsuleer graduation systems! But the Navies regrouped after this initial attack & combined with capsuleer efforts pushed back against the Drifters & took out the newly established Drifter Hives. After this big clash, Drifter activity was reduced to the capsuleer graduation systems, where they continue to clash with the Sister of Eve organisation to this day among the wreckage sites of the initial Drifter attack, often involving the various Navies in these engagements. Regularly the Sisters of Eve would contact newly graduated capsuleers to rescue their personnel after a Drifter attack and then proceed to direct the new capsuleer against the technologically superior Drifters. That's cold, a capsuleer, just graduated from the academy & with all his hopes, optimism and naivety gets recruited by the Sisters & thrown against the most advanced technological terror this galaxy has to offer. Cold. Luckily, the newly graduated capsuleer isn't alone in this early adventure. The Navies, always willing to make a good first impression are there to assist them when things get rough. Normally the military Navy bases are obscured from capsuleer view by CONCORD regulations. However, the military installation in the graduation system is an exception, due to the presence of the capsuleer academy and the continuous Drifter activity. When the new capsuleer is tasked by the Sisters to take out a Drifter Hive, the Navies are all too eager to assist. Partly because Drifters establishing a foothold in known space is bad news, but also as an attempt to instill some loyalty into the capsuleer for their nation. First things first, these Drifter/Sisters of Eve clashes have nothing to do with the recent damaged Drifter fleet sightings, as the clashes in the graduation systems have happened far before this & are more continuous, not to mention that the Drifter ships involved are not damaged. 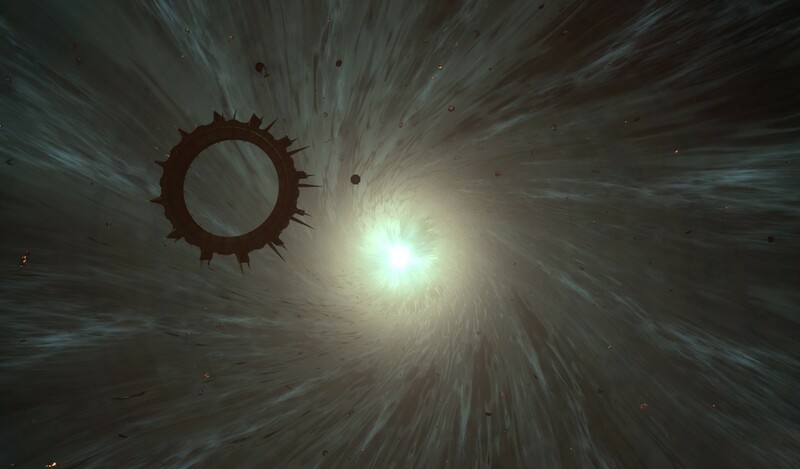 Also, Drifter/SoE clashes have been reported in wormholes as well, showing that these two have been fighting among each other for a while now. Moreover, while it is easy to blame the Drifters as aggressors, it's important to note that their attacks are mainly focused on Sister of Eve ships & installations, likely in an attempt to disrupt the alpha cloning process which is a result of SoE research into Drifter clones. To add to this, the Sisters recruit newly graduated capsuleers to respond to these Drifter attacks, capsuleers who are not yet jaded nor tainted by how harsh life is in the New Eden cluster, filled with misinformation and manipulation. It's important to keep in mind that the Sisters pursue their own agenda in all of this, often hiding important information & operations from the public and even the Big Four. The best known example: the colonisation of the Thera wormhole system. Important to note is that veteran capsuleers are not recruited in this fight against the Drifters despite that they are much better placed to fight them due to their skills & expertise. This is also why the continuous Drifter activity in the capsuleer graduation systems has gone largely under the radar as most older capsuleers generally don't pay much attention to what occurs in the capsuleer starting systems. With this investigation concluded, the Aurora Arcology organisation would call out to all capsuleers to pay attention to wreckage found in the capsuleer graduation systems & inspect them for survivors and bring them to safety. Not only because it is the right thing to do, but also to prevent the Sisters from recruiting yet another newly graduated capsuleer for their covert motives. If you want to assist in this Search & rescue initiative, you can join the capsuleer channel C3SRC which is dedicated to rescuing people across New Eden from wreckage and abandoned containers. This rescue initiative is spearheaded by Che Biko.